Direct to Garment printing (DTG) is a new method of decorating apparel. The most common item decorated using DTG is a tee shirt or a hooded sweat shirt. Historically apparel decoration was done by silk screening. This is still a popular method of decorating especially for large volume orders. There are specific differences when choosing between DTG and Silk Screen printing. The main difference is large orders. These would be orders larger than 144 pieces. Especially one color designs. The DTG excels for multicolor orders less than 144 pieces. One major advantage DTG has over Silk Screen is the set up process. Silk screen requires a separate screen for each color in the design. The more colors the more expensive the set up. DTG requires only a good piece of art. We prefer EPS, Adobe illustrator or a 300 dpi or better art. 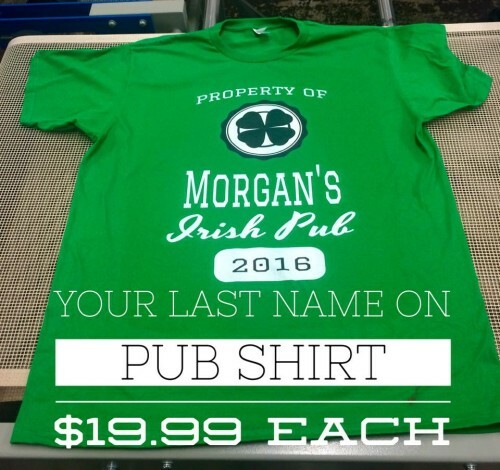 Small multicolor orders are cost prohibitive for screen printers. The process is very simple with good art work. The process is the art is scanned, ripped and sent to the printer. Ripping is a process to ready the DTG printer for printing on dark colors. The rip part of the design is a white back fill. The white back fill is printed and prepares the DTG printers substrate to accept the colored portion of the design. The Consumer Product Safety Commission (CPSC) has implemented new safety rules which specifically address printed apparel for youth under 12 years of age. What the rules are is that no inks with carcinogenic compounds can be used is the printing of shirts in the youth market. DTG printing is 100% in compliance because the ink is water based and can be cleaned up with water. Screen print inks do not meet these regulations and will soon find themselves under the watchful eye of the CPSC. Child safety has always been at the end of the pack in the silk screen decorating industry.. This is why the water based inks for Kornit are and always be in compliance with the CPSC regulations. Choosing DTG is always the best choice if you are selling to the youth market. There are other reasons why DTG is superior to Silk Screen. The most obvious one is chemicals in one and no chemicals in the other.